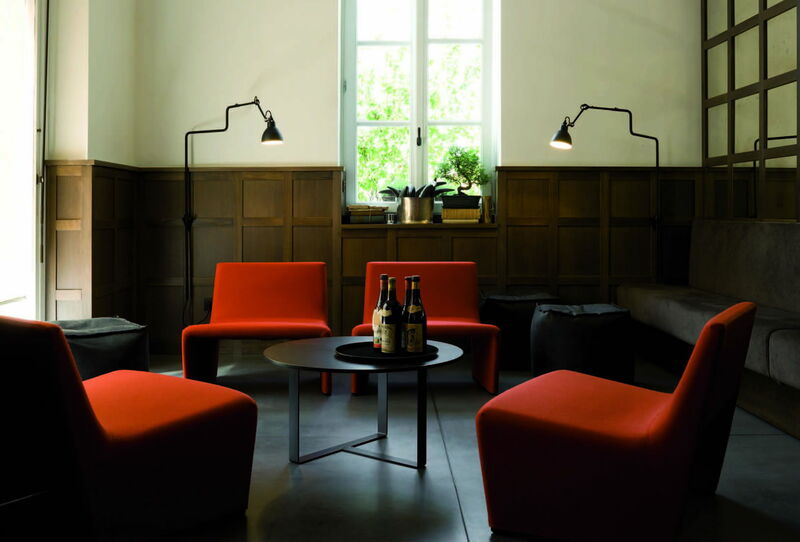 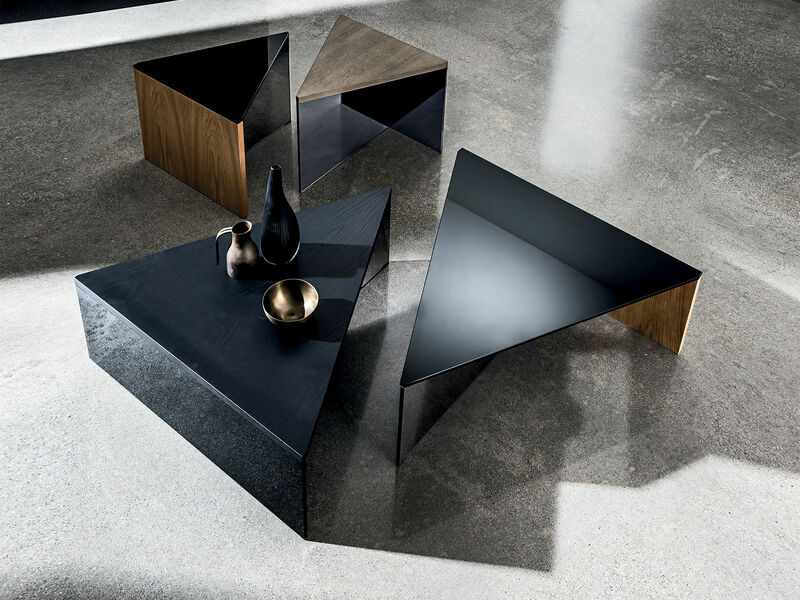 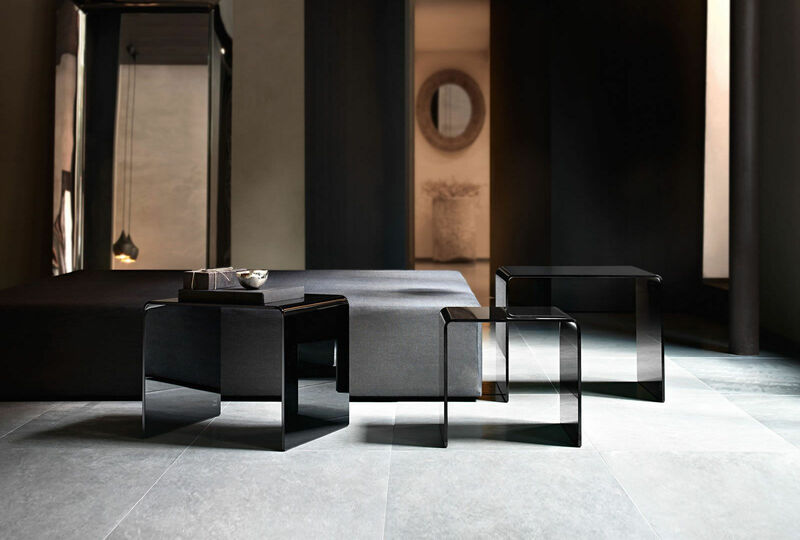 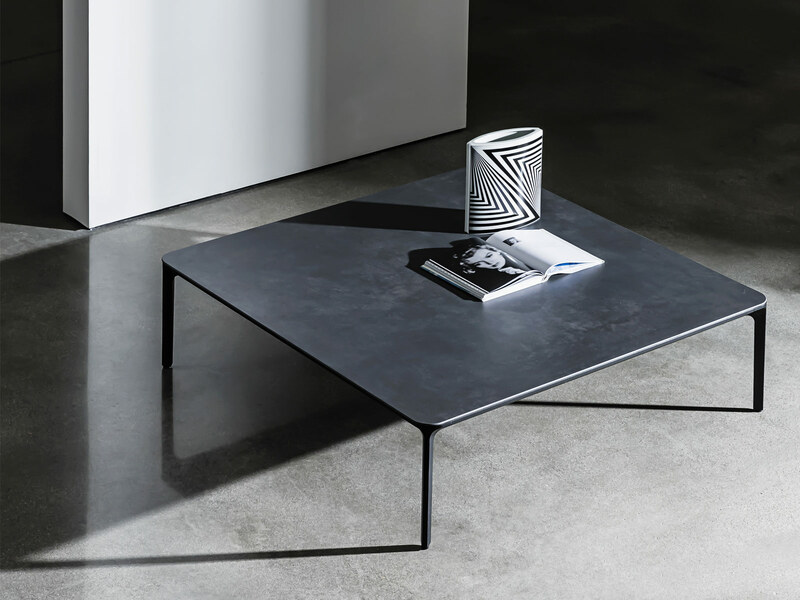 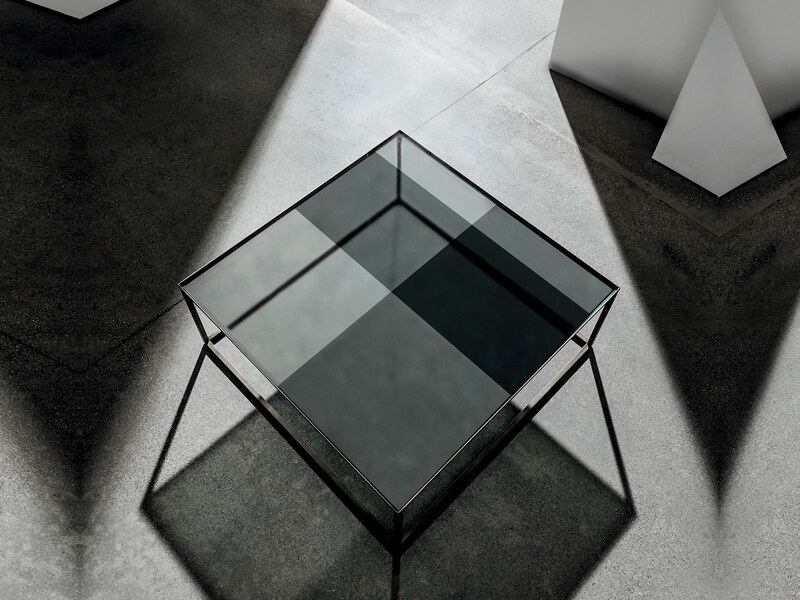 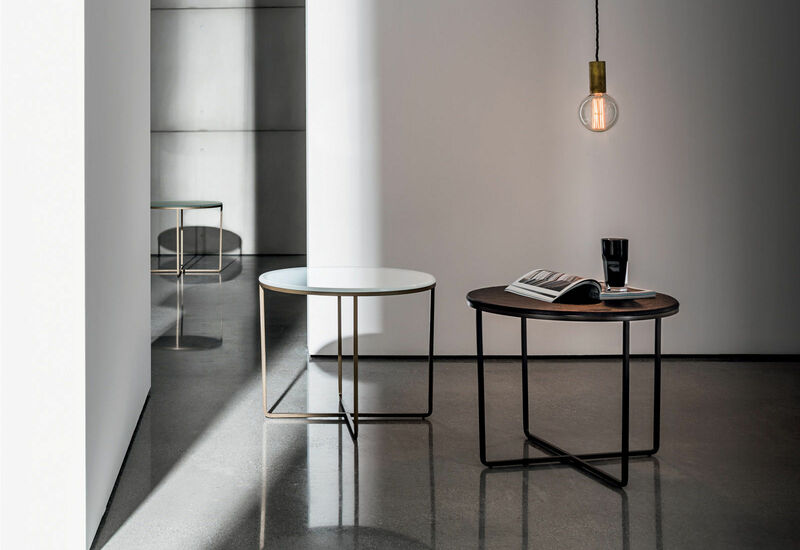 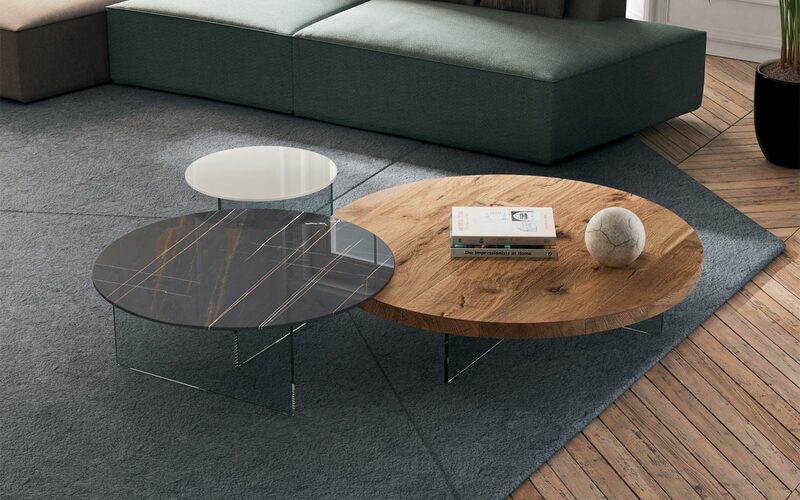 Take it easy is a coffee table of a discrete elegance and strongly refined taste tank to its metal section base. 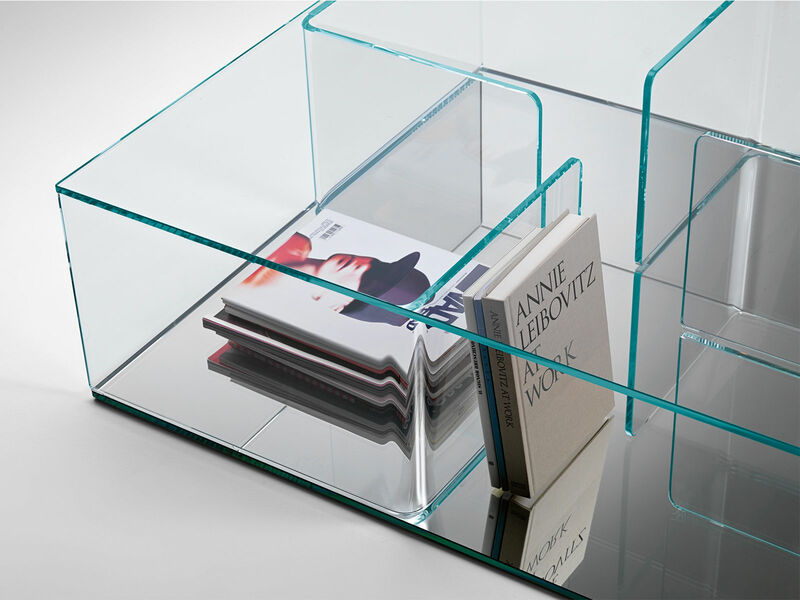 The top is in crystal thickness 10 mm..
W v105 cm x D 105 x H 14 cm. 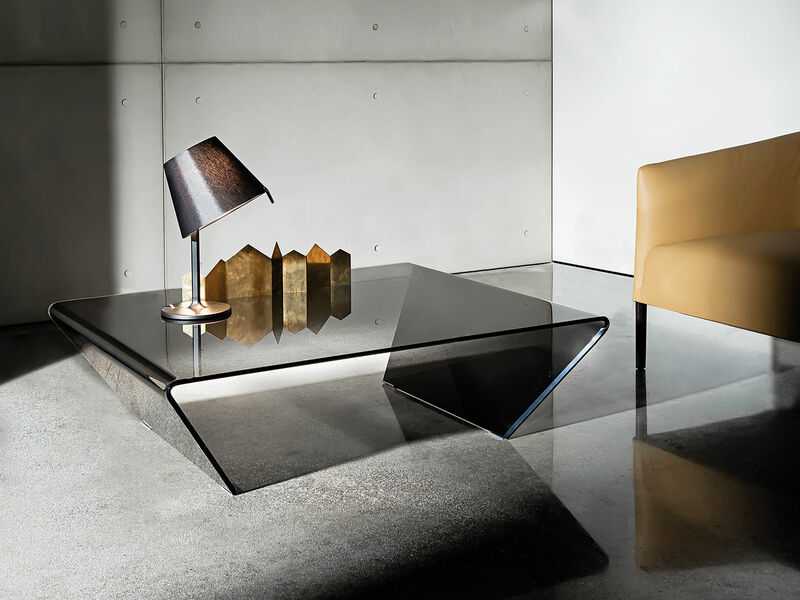 Crystal top available in bronze transparent, smoked transparent.